The Manitoba government will create a new health organization to help co-ordinate service delivery and planning across the province. Health Minister Kelvin Goertzen announced the creation of Shared Health Services Manitoba on Wednesday, which will take on and centralize some of the functions currently administered by the province's five regional health authorities, including ambulance services and diagnostic imaging. The new organization will also take over the operation of Health Sciences Centre, including Children's Hospital, Transplant Manitoba, provincial laboratories, diagnostic imaging, and emergency medical services like ambulance services and dispatch. 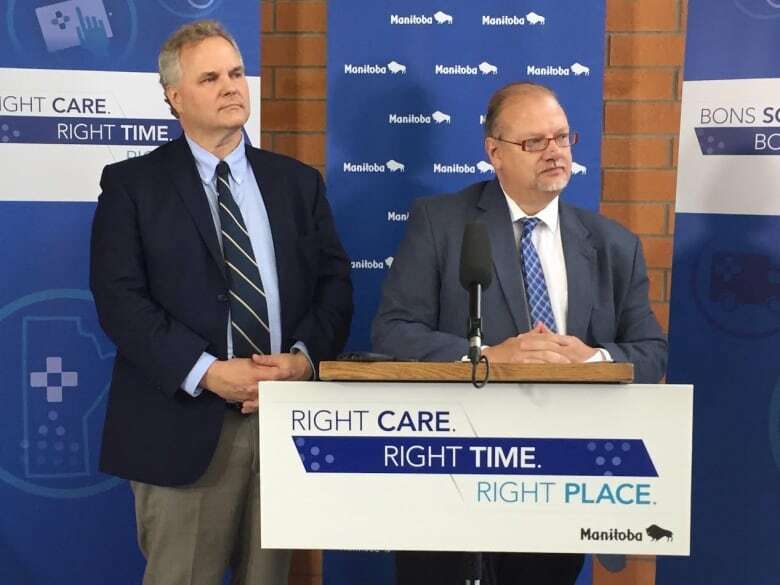 Health Minister Kelvin Goertzen (right) announces the creation of Shared Health Services Manitoba to help centralize health care across the province. (Gary Solilak)"Manitoba's health-care system is complex and siloed, with eight independent organizations each doing their own planning, standard setting and service delivery in relative isolation of one another," said Goertzen in a news release. "This is neither efficient nor effective and has been identified as a major impediment to improved access to quality health care and our ability to manage costs in a sustainable way." Decisions about how and where to provide diagnostic tests, laboratory services, ambulances and more will be made by the centralized group instead of by regional authorities acting on their own. Goertzen said the regional authorities will continue to exist but will focus more on front-line services. Winnipeg Regional Health Authority chief medical officer Dr. Brock Wright will lead the new organization. The creation of the new organization stems from two recent reviews of the province's health system: a KPMG study and a report authored by Dr. David Peachey, which also recommended the closure of three emergency rooms in Winnipeg, along with the urgent care centre at Misericordia Health Centre. The announcement drew swift criticism from the Manitoba NDP and the union representing provincial employees. NDP health critic Matt Wiebe blasted Premier Brian Pallister and the PCs for not releasing the KPMG report, which reviewed the province's fiscal performance and also looked for savings in health care. "Both the premier and the health minister made it clear that the reports that they were getting back from their outside consultants, KPMG, would be made public — that the public would get to see absolutely everything in those reports and make their own judgements based on that," he said. "What we've seen since is total chaos and disruption in our health-care system and yet we don't see that report." Goertzen said the new organization will create efficiencies, but would not provide details when asked about possible job cuts. "There are both places where there will be reductions as a result of duplication, because I don't think people expect us to do services twice, but there will also be new opportunities within an organization," the health minister said. 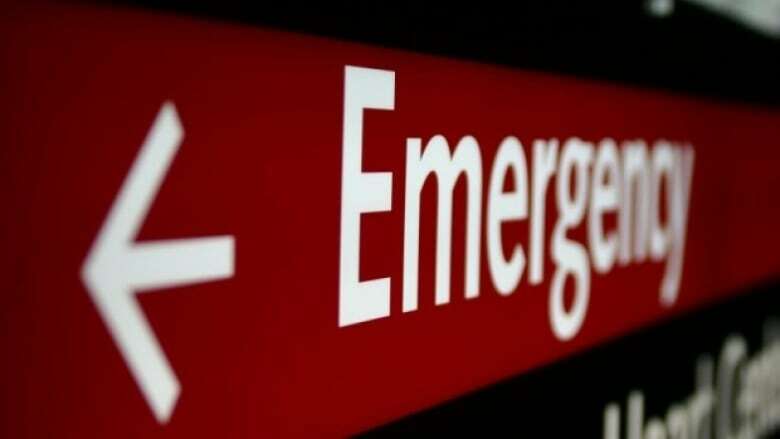 "The provincial government is playing a dangerous game with our health-care system," said Canadian Union of Public Employees health care co-ordinator Shannon McAteer in a statement. The WRHA also announced that CEO and president Milton Sussman is leaving his position. In a statement released Wednesday, Goertzen said Sussman and the health authority "had jointly decided to part ways." Goertzen described Sussman, who took over the job less than two years ago, as "an exemplary civil servant." Vice-president and chief operating officer Réal Cloutier will fill in until a permanent CEO can be found. "With so much being changed at once, we are deeply concerned that patient care, staff morale, and actual programming will be irreparably damaged," CUPE's McAteer said. The changes to the health system come after the province ordered health authorities to cut 15 per cent of management positions. The goal is to have the new organization running by April 2018.